We often get asked this question: “What is the best 3D modeling software?” The ugly truth is, “It depends.” We can’t tell you which software you should use. But we can tell you how to find it! 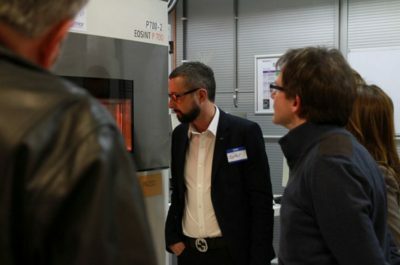 Think about it in terms of the world of traditional 2D printing: What’s the best software for 2D printing? It’s impossible to answer this since someone might want to print a text, somebody else might want to draw something, while yet another person might want to edit a photo. For 3D modeling software it’s a bit like that. There’s not one software that dominates the market and is most suitable for everyone. Every designers has different needs, preferences, and objects in mind. That’s why it’s simply impossible to say “This is the best 3D modeling software for everyone”. However, we have put down certain questions that you can ask yourself, which will help you find the software that suits you best. In the first part of this article we will present the decisions you need to take. In the second part we will show you how to find the best software based on these decisions. 1st decision: What kind of objects do you intend to create? The first decision that you need to make is what kind of objects you have in mind. The choice of what you want to design often determines which modeling software you should use. 2nd decision: Which platform do you prefer? Not every software package or app is available on each platform. Think about which platform you will be using for creating your designs. 3rd decision: What is your budget? Software can be free or cost thousands of dollars. The amount of money you are willing to spend on 3D modeling software facilitates the choice. Some software programs have been around for years and have big communities behind them. There are tons of tutorials and active forums to be found. Others have just started or are trying to bring their product to market. So the size of the community and number of software-related resources might also be an important factor. For beginners it might be easier to stick to software that has been out for years and offers tons of resources and YouTube tutorials. When you get stuck somewhere, it also means that you will be able to find help from fellow designers more easily. For beginners, it might be easier to stick to software that has been out for years and offers tons of resources and YouTube tutorials. When you get stuck somewhere, it also means that you will be able to find help from fellow designers more easily. Another thing to consider is the purpose of the software. Some software was developed for visual 3D effects or 3D animation films. The 3D printing part is more like a ‘side product’ for these programs and it needs a bit of tinkering to turn a great visual 3D model into a model that is actually 3D printable. Others were developed especially for 3D printing and will make it much easier for you to ensure that your design will be printable. So it’s important to check if there are enough resources, tutorials, and forums that are not just about “3D modeling with software XY”, but also about “3D printing with software XY”. For many beginners this is an important one: the interface. Some software provide you with an interface like a car dashboard: clean, easy to learn and intuitive. Others go for an aircraft’s cockpit: lots of functionality, much more design freedom, but a steep learning curve. An example for this can be found in the pictures below: Both Tinkercad (left) and Blender (right) are available for free. 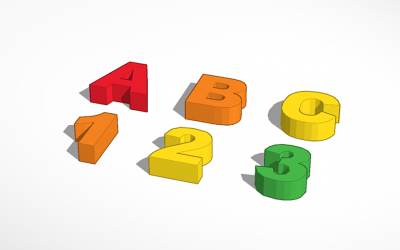 Tinkercad has an intuitive, beginner-friendly interface. However, your design freedom is somehow limited. Blender, on the other hand, offers lots of functionality and design freedom but might be harder to learn. 6th decision: Which modeling approaches do you prefer? Different software uses different approaches to 3D modeling. It is hard to categorize an abstract thing like “modeling” into different techniques, and it can be difficult to get an understanding of it when you haven’t used the software yet. However, we will still try to give you an overview about the most important distinctions. We included a short visual preview for each of these 3D modeling techniques. Which technique is best for you heavily depends on your preferences. While some prefer a LEGO-like modeling approach, others prefer clay-like sculpting. Solid Modeling/Box Modeling: Solid Modeling is all about combining and subtracting primitives. If you like(d) playing with LEGO you will find this way of modeling quite intuitive. You will add cubes, spheres and all kinds of other geometrical objects and combine them or subtract them from each other. The catchwords for solid modeling are accuracy, precision, and exactness. However, this comes with a price: limited freedom in designing. It will be tough to create organic objects with this kind of modeling. 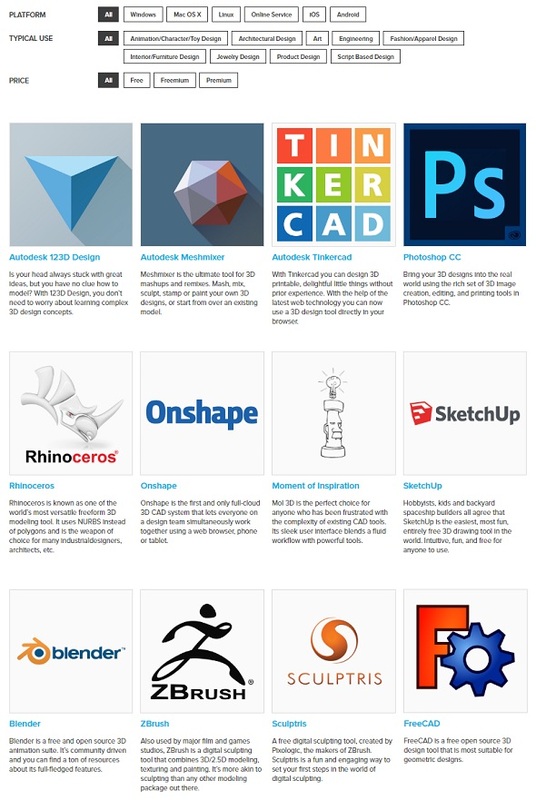 Popular solid modeling programs: Tinkercad (image), 123D Design, Inventor. Digital Sculpting: Digital sculpting presents quite a big contrast to solid modeling. Typically you start with a digital cube of clay and form it with your mouse. It also is very intuitive as clicking on the object will immediately deform it. Typically you can select a tool (like push, pull, smooth, grab or pinch) and then start sculpting. This way of modeling gives modelers an extreme freedom of design, but it is not precise. It’s great for organic models (like people, animals, etc.) but it’s virtually impossible to create functional parts with it. Popular digital sculpting programs: ZBrush (image), Sculptis, Meshmixer, Mudbox. Parametric Design/Procedural Modeling: Parametric design is based on algorithmic thinking and actually lets you ‘program’ objects. This might be by really scripting code, but there are also ways to make this more visual. Nevertheless, you will typically have two screens: an editor, where you will input functions or commands, and a preview of your design. This two-window-setting might be less intuitive for beginners. However, it allows for users to play around and create generative artwork as well as precise mechanical parts. Changing patterns and repetitions is often just a matter of clicks. Popular parametric design programs: Grasshopper (image), FreeCAD, OpenSCAD, 3DS Max, Maya. Polygon Modeling/Contour Modeling: In Polygon Modeling, your 3D object is basically a mesh based on vertices, edges and faces. This allows you to easily and precisely edit parts of your object. By changing the coordinates of one or several vertices, you can change the shape of the model. The downside, however, is that it is not possible to describe a curved surface accurately. Since there is always a straight edge between two coordinate points (vertices), rounding objects is difficult. Popular polygon modeling programs: Blender (image), Modo. Curve and Line Modeling: In contrast to Polygon Modeling, surfaces in Curve Modeling are made up of curves. Curves are created with a tool that works very similarly to the pen tool in MS paint or Adobe Illustrator. The curve is drawn in 3D space, and edited by moving a series of handles called CVs (control vertices). Alternately, a curved surface can be created by revolving a profile curve around a central axis. This is a common and very fast modeling technique for objects that are radial in nature. 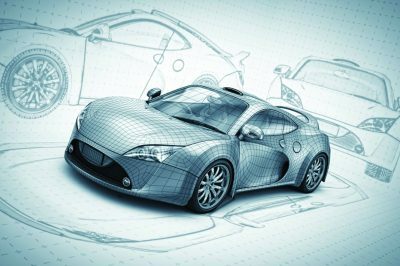 This is why this modeling approach is very popular when creating automotive and industrial parts. Popular curve & line modeling programs: Rhino (image), SketchUp, MoI, K-3D. Okay, this has been a long list but what are you supposed to do now? It’s time to put the pieces of the puzzle together. First of all, it is helpful to get a general overview of different programs and their target audiences. One way to do so, is by visiting the ‘3D Design Tools’ section of our website (see screenshot below). This page will give you an overview of popular 3D modeling programs for 3D printing. It lets you filter for price (free, freemium, premium), platform (PC, Max, Linux, etc.) and the most common use (Art, Architecture, Spare Parts, Jewelry etc.). 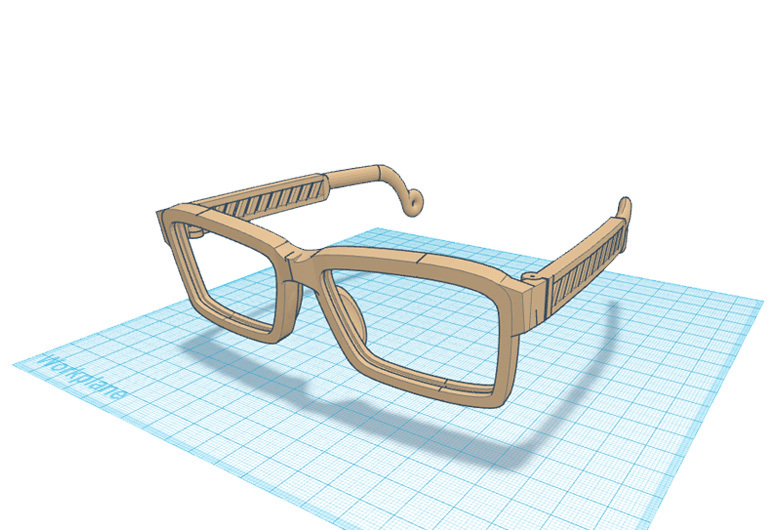 What’s more: you can see actual 3D prints that were designed with that specific software. Often these images say more than a thousand words. If you want to go with the most popular program, make sure to visit our list of the top 25 most popular 3D modeling software for 3D printing here. This ranking only takes the popularity of the individual programs within the 3D printing community into account. For Mac users, this list only shows the most popular programs that run on Mac OS. 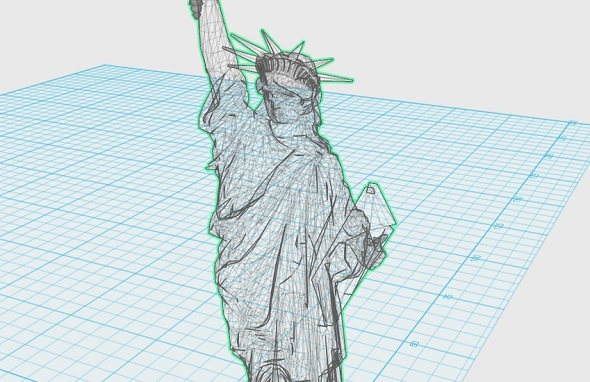 If you are a beginner and just want to start out with an easy-to-use, free software, then we also have the right list for you: The top 9 3D design programs to get you started with 3D printing. If digital sculpting is your thing, visit our list of the top 10 3D sculpting programs. Once you’ve narrowed down several programs that you would like to give a try, take a good look around their websites. Do the models that were designed there come close to your needs? A website visit can often give you a glimpse of what the program is actually being used for – and what it isn’t. Before you buy a pig in a poke, make sure to download a free trial version and give it a try. Literally every 3D design software comes with a free trial version nowadays. If you’re new to the world of 3D modeling, this interview about how to get started with 3D modeling might be useful. If you already have a printable 3D file, simply upload it to our website, choose from more than 100 material options, and let us take care of printing and shipping your object.